PGA of Canada coaches work with the best technology available, results guaranteed in a private setting atmosphere, allowing the student to reach their potential. Working with your coach in this complete indoor private academy allows students to work on their game all year long. Launch monitors capture tangible data to track your progress. A large indoor putting and chipping area keeps your short game sharp. David Bolton and Daryl Stubbs are the owners of Pacific Golf Academy. They have been leaders in the golf industry for over 20 years. After 16 years of leading the golf coaching industry and operating the most successful golf academy in Richmond, they raised the bar. In 2013, in a continuing effort to provide the best learning experience for their students, they opened a world-class golf training facility. The technology that Pacific Golf Academy has available is the best in the world and is what PGA Tour players use to work on their golf game. They took the golf coaching experience to the next level. A true professional experience for their students. 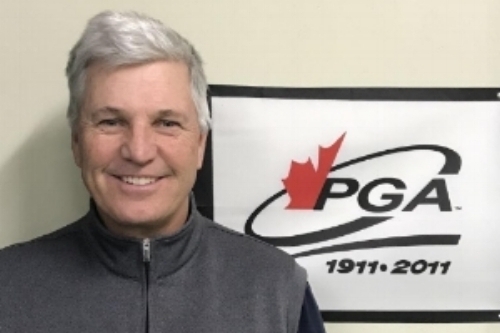 David and Daryl have amassed a wealth of knowledge and experience through both competing at the highest level (having won more than 75 professional events combined) and working and collaborating with some of the best golf instructors in North America. These coaches include Stan Utley, Mike Bender (both top 10 ranked instructors), Peter Crocker, Conan Elliot (Northwest PGA Teacher of the Year) and the coach of Jack Nicklaus, World Golf Hall of Fame Member - Jim Flick! Experience, knowledge, the best technology, and the strongest team of instructors all working together is what makes the difference at Pacific Golf Academy. Don't wait for opportunity - create it! Born in Edmonton, Alberta and raised in beautiful Tsawwassen, BC., Colin turned professional in 2004 after a successful Junior, Collegiate and Amateur career with victories at every level. As an Amateur, Colin played in six consecutive national championships, and traveled to Scotland, the home of golf, to participate in the 2001 British Amateur Championship. After turning Professional he traveled to Australia in the mid 2000’s to play on the Australasian Tour. Upon returning home he joined the PGA of Canada and qualified for the 2005 Canadian Tour. Colin is a graduate of the Professional Golf Management Program (Camosun College). Further certifications include the Foresight Sports Peak Training Program, Trackman University, and the National Coaching Certification Program (PGA of Canada). He is also an expert in V1 Sports, BodiTrak and the SAM PuttLab. He sees technology as an incredible tool to further his students’ progress. Colin started teaching golf in 2004 and has since worked with hundreds of students, racking up thousands of hours of teaching experience. An avid reader, he has collected hundreds of books on golf and has studied all of the greatest teachers from every generation. Colin’s teaching philosophy is: build a solid foundation of fundamentals, create a flawless swing plane, relentlessly pursue a sharp short game, while never neglecting the importance of the mental game. Colin’s passion for the game has fuelled his nearly three decades in the sport. He is humbled beyond words to be sharing his love of golf with the next generation of aspiring competitors. From an early age, Richard believed that hard work and perseverance produced desired results. His background in music and art helped him develop a love for practice and an understanding in the value of patience. After a successful junior golf career, Richard was recruited by Western Washington University's golf program with a full scholarship, where he studied education and recreation. After graduation, he then pursued his career path in becoming a golf professional. Richard has been certified by the Titleist Performance Institute for fitness training. He is able to identify the physical strengths and weaknesses of each individual through a screening assessment. Richard expresses the importance of proper swing mechanics and fundamentals, as it can produce power and stability while also preventing injury. where he spent nearly a year and a half there. In that time, he gathered valuable knowledge of the culture and the golfing industry overseas. China proved to be a stepping stone into a career path that is now devoted to teaching golf to Canada’s youth. Growing up with elite instruction and having played in several major junior, amateur and professional events; these experiences have proved to be his biggest asset when it comes to teaching. To this day, he believes that golf, through its dynamic challenges, has the power to be the most rewarding sport for all aspects of life.